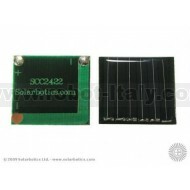 Remember the Panasonic BP2422 solar cell? It was small and tidy, generating a decent voltage suitable for driving low-voltage electronics in a small (24x22mm - less than 1 in^2) package. 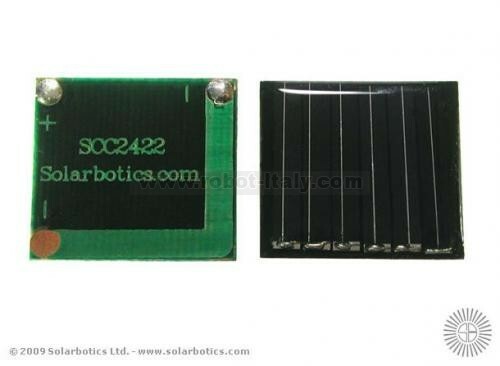 Alas, they've gone the way of the Dodo, but Solarbotics has gone out and manufactured our own version, in the same footprint, and similar performance using monocrystalline silicon. Take a look at the datasheet for full curves.